A free helpline has been launched to support the health and wellbeing of Grooms. 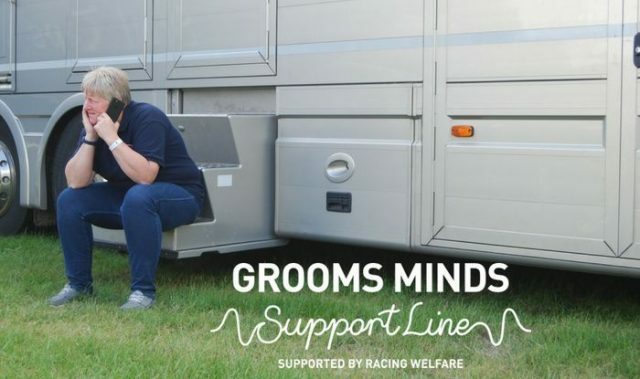 As part of the on-going Groom’s Minds mental health awareness project, the British Grooms Association (BGA) have launched the Groom’s Minds Support Line – supported by Racing Welfare, a telephone helpline for BGA members. The free helpline is a significant step forward for the equestrian industry and has been provided for those grooms having challenges within the workplace, or life in general, and who need someone to talk to. It offers callers confidential support and advice on a range of mental health and wellbeing issues, provided by trained helpers. The Groom’s Minds Support Line offers a 24 hour, 7 days a week service, with a trained helper always ready to talk. To find out how to access the support line go to britishgrooms.org.uk/grooms-minds. For further support and advice please contact our Safe Guarding Officer, Nicky McDonald, on 07795 841 932 or email nicky.mcdonald@haddontraining.co.uk.